Home > News > Messi misses penalty as Argentina are held by underdogs Iceland. Messi misses penalty as Argentina are held by underdogs Iceland. 12 yards. Arguably the best footballer to ever grace the game. Only one outcome right? Messi and penalties. It’s weird how he struggles with them when he makes everything else in the game look so easy. When the Polish referee, Szymon Marciniak pointed to the spot after a clumsy tackle from Magnusson on Maximiliano Meza, the entire world held its breath hoping to watch Leo Messi, arguably the greatest ever to grace our game, put the ball in the back of the net and announce his arrival on the grandest stage of them all. 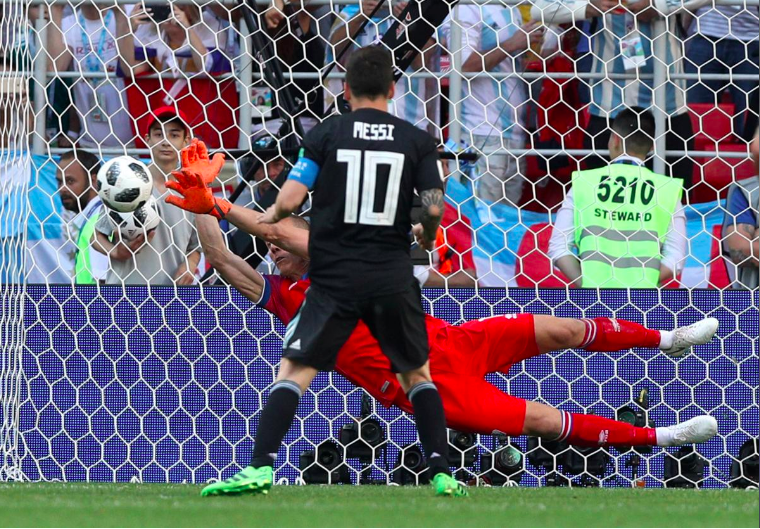 However, Halldorsson the Icelandic shot-stopper had other ideas as he flew across goal to palm away a surprisingly ordinary penalty from Messi, much to the despair of Argentina and millions of their fans. 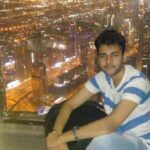 The game on paper was a typical David vs Goliath battle where the mighty Argentinians, harbouring ambitions of going all the way in this tournament and achieving ultimate glory, were expected to make an easy meal of the Icelanders, a tiny country with a meagre population of 3.5 lakhs. However, there is no replacement of grit and determination and this Iceland team are a prime example of it. Although the final statistics showed that Argentina indeed had 78 per cent of the ball and created more than treble of Iceland’s attempts on goal, that still only told a very skewed story. 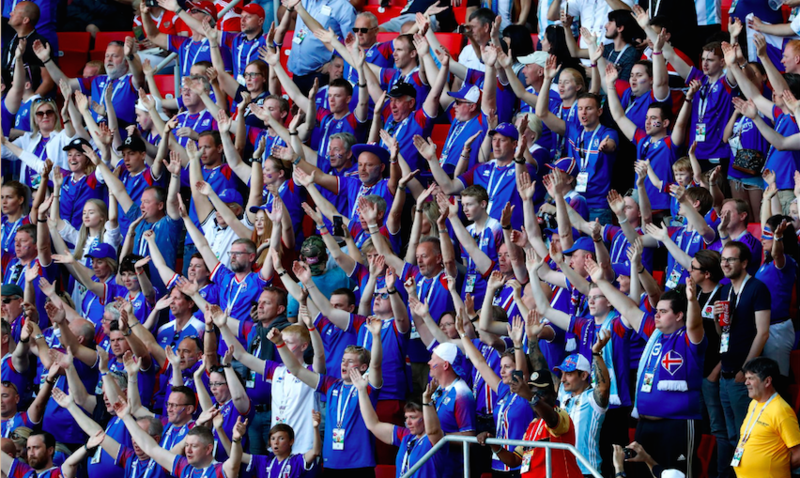 Iceland were physical, committed, well organized and hardworking but they also played with an attacking intent that regularly troubled Argentina defensively. Indeed, after two early Messi free-kicks were almost turned in by Nicolas Otamendi and then Nicolas Tagliafico, Iceland missed two wonderful opportunities to take the lead themselves. First Alfred Finnbogason crossed for Gyfli Sigurdsson, whose effort was saved by Willy Caballero and then Birkir Bjarnason shot wastefully wide when he should really have punished a poor clearance by the Chelsea goalkeeper. Messi, on the other hand, was struggling to find space as Iceland closed him down relentlessly. He created a bit of room after 17 minutes but his whipped shot from outside the area was beaten away by Halldorsson. 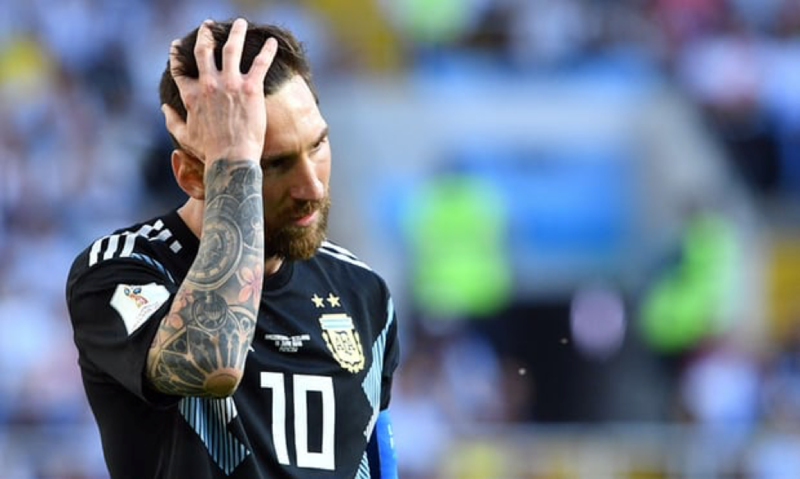 After the goal, Argentina again pulled up their socks and played some pretty good football but with the team so built around Messi and his radar deserting him, they rarely looked likely to fashion an equalizer from elsewhere. Sigurdsson then had a low shot saved by Caballero as an entertaining first half came towards a conclusion, and the same player blasted a half-volley well wide. Back came Iceland, Bjarnason’s cross from the left just evading Finnbogason, and Argentina made an early switch when Biglia was replaced by Ever Banega. This change did make an impact on the Argentinian’s game as it gave them the much-needed creativity in midfield. Aguero then was crowded out as he tried to get a strike in from the right side of the penalty area, and the Manchester City striker saw another attempt cannon to safety soon afterwards. Then came the decisive moment of the game as Argentina got a penalty when Aguero was barged to the ground by Hordur Magnusson but Halldorsson guessed right and saved Messi’s strike. Messi, then eager to make amends for his miss from the spot, curled a free kick over. Nine minutes from the end, Messi curled a superb strike narrowly wide from the edge of the D, and Argentina threw Gonzalo Higuain into the fray as they pressed for a late winner. However, Halldorsson was at the top of his game today and was not in the mood to let anything past him. Pavon’s inswinging cross from the left wing beat everyone at the near post and was bouncing towards the far corner when the unsighted Halldorsson made another sprawling save to his left to push it away. As the final whistle blew, Lionel Messi angrily volleyed the ball high into the Moscow air before kneeling down in the centre-circle haplessly. In his personal dual with Ronaldo for world cup glory, he was a clear second best in round one. While Cristiano Ronaldo lit up the world cup just a day before with an incredible hat-trick, Messi was left to rue his chances. In his personal duel, Ronaldo has won this round convincingly. But it would be foolish to not expect a response from Messi. At least Argentina and their fans would pray for him to do just that if they are to have any chance in this World Cup. To read our other match reports from today, click here. Pouslen wins it for Denmark As Peru Rue Missed Chances.